If you’re even the slightest bit familiar with MMA, you’ll be more than familiar with the back yard brawler Kimbo Slice (real name Kevin Ferguson). Unfortunately, due to a sudden heart failure on Monday 6 June, the charismatic fighter has sadly passed away in hospital in South Miami at the age of 42. With a fight scheduled July 16th at London’s O2 arena in a rematch against James Thompson in the Bellator 158, it’s been upsetting for fans, family members and friends of the big man to see him pass. 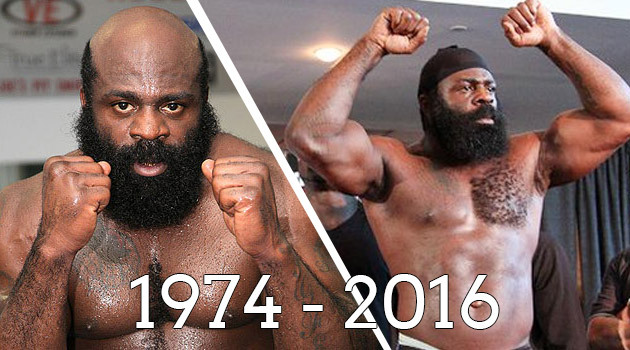 “One of the most popular MMA fighters ever, Kimbo was a charismatic, larger-than-life personality that transcended the sport. “Outside the cage he was a friendly, gentle giant and a devoted family man. “His loss leaves us all with extremely heavy hearts, and our thoughts and prayers are with the entire Ferguson family and all of Kimbo’s friends, fans, and teammates. No foul play has been suspected in Kimbo’s unfortunate death. The fighter leaves behind 6 children and a devoted fiancee. This Polish Gym Worker has the Best Job in the World – Period. February 19, 2016 Luas Redbird Comments Off on This Polish Gym Worker has the Best Job in the World – Period.